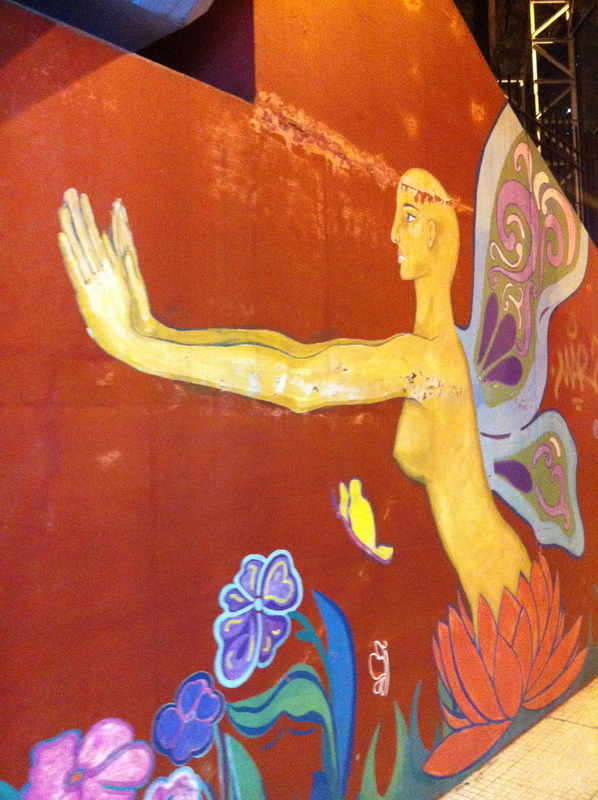 In celebration of International Women’s Day, this artist put his/her stand against violence against women up on a wall. (I’m guessing it’s a woman because of the style, but I really don’t know and assuming gender because of societal gender norms can get a little dangerous.) 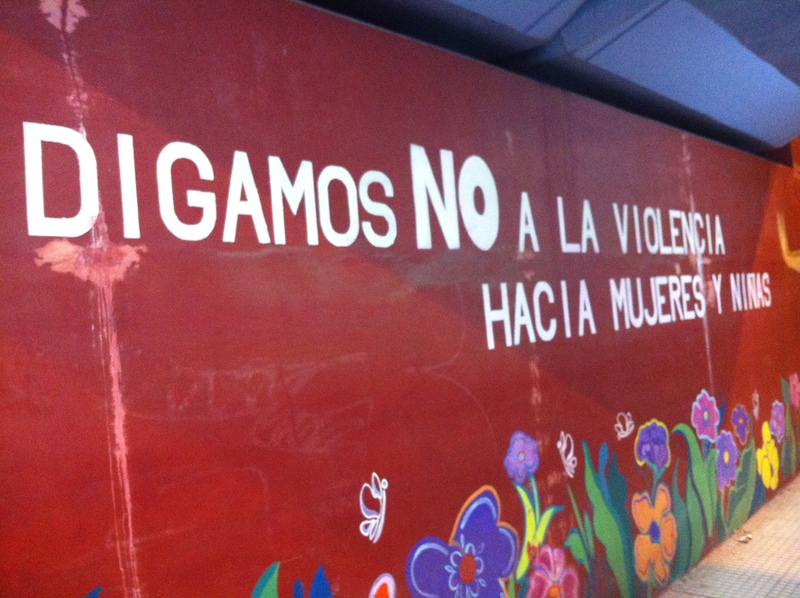 (S)he says “Digamos NO a la violencia hacia mujeres y niñas” which translates to (as you can probably guess…) “We say NO to violence towards women and girls”. (S)he also includes some beautiful and somewhat fantastical paintings of a fairy – Mother Natur-esque – flowers and a cute elephant. 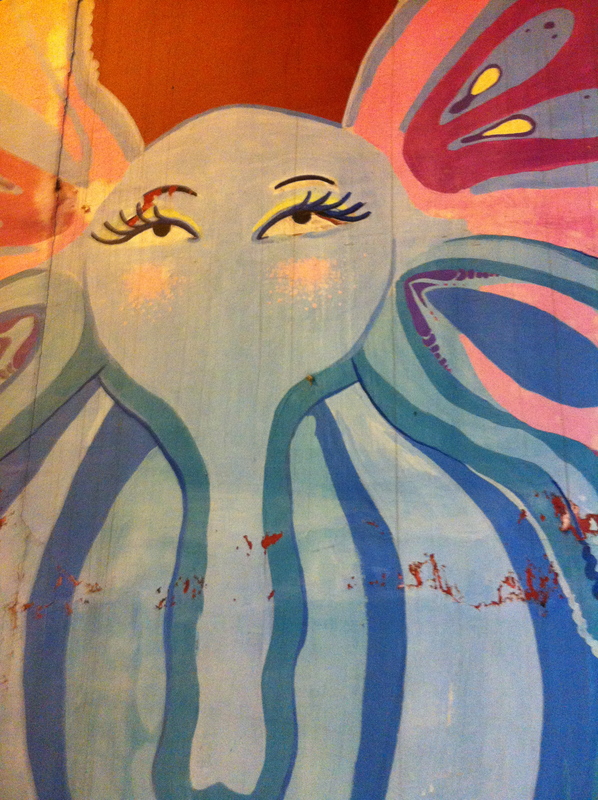 This we found under the bridge leading to Avenida de Juan B. Justo, which serves as the border of Palermo Soho and Palermo Hollywood.